Ally Ang is a queer poet of color whose work explores the intersections of those identities. Ally’s work has been nominated for the Pushcart Prize and Bettering American Poetry, and has been published in Nepantla, The Shade Journal, Tinderbox Poetry Journal, and elsewhere. 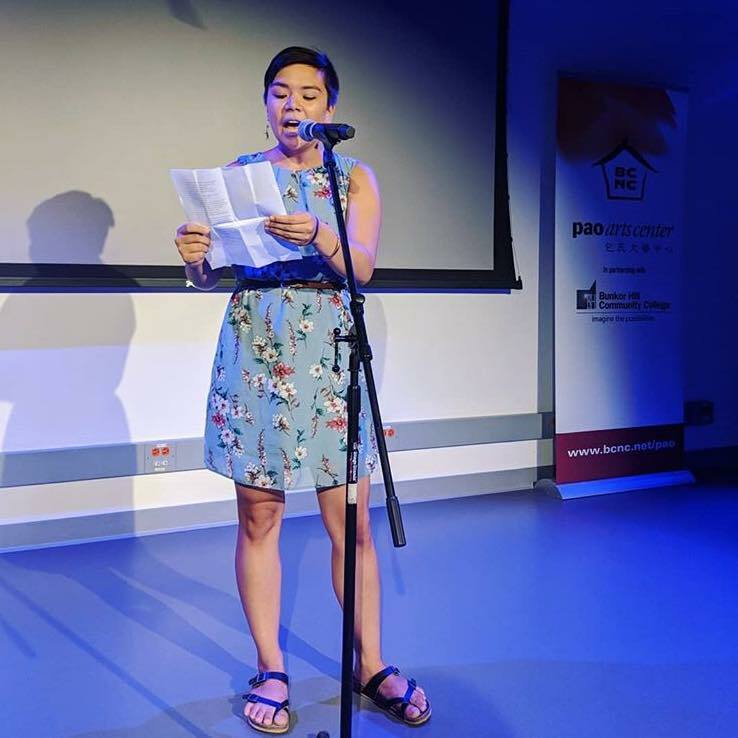 Ally has performed extensively across the New England area and has featured or read at the East Meets Words open mic, Kundiman Literaoke Night, the Arts Equity Summit, and more. Ally is the author of the chapbook Monstrosity, published by Damaged Goods Press in 2016. Ally graduated from Wellesley College in 2017 with a BA in Sociology & Asian American Studies, and will be pursuing their MFA in Creative Writing at the University of Washington in Seattle starting in Fall 2019.